Take a good look at this 67 Chevelle. Pretty nice huh? 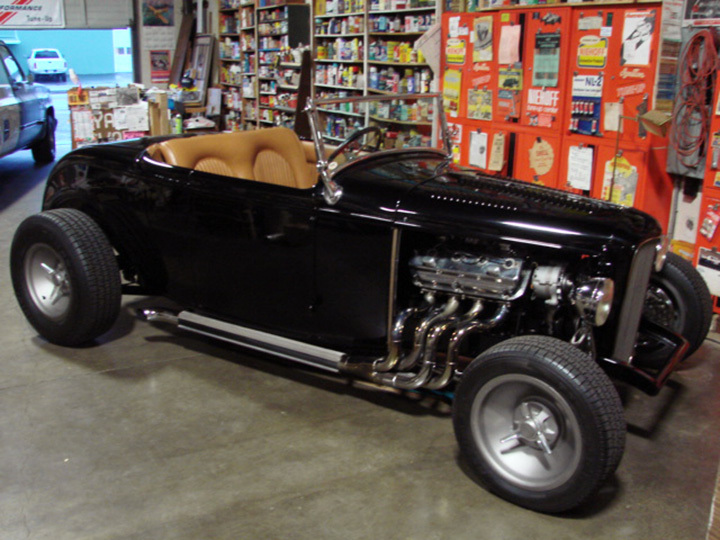 One would assume this beauty would be leaving a restoration shop, not arriving at one—but this is exactly how the 67 appeared when it arrived at MetalWorks Classics in Eugene, Oregon for a radical transformation. 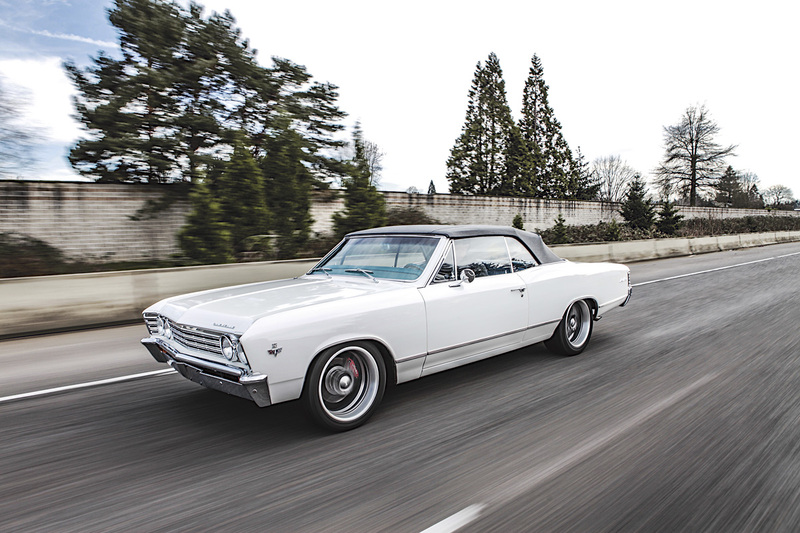 You may be a bit confused, as was I when the sharp looking Chevelle arrived, but after a conversion with owner Jerry and the crew at Metalworks I got a good understanding of what lay ahead for the convertible, and why. My first question was “what” would be getting changed on the Chevelle as it was obviously not in dire need of anything cosmetically, and its small block purred like a kitten when it drove into the shop. The answer was a laundry list of dream components including a brand new LS drive line. Now, the next question was “why tear into an already beautiful, and nice performing car?” For this answer we need to dig a bit into Jerry’s past and thought process. 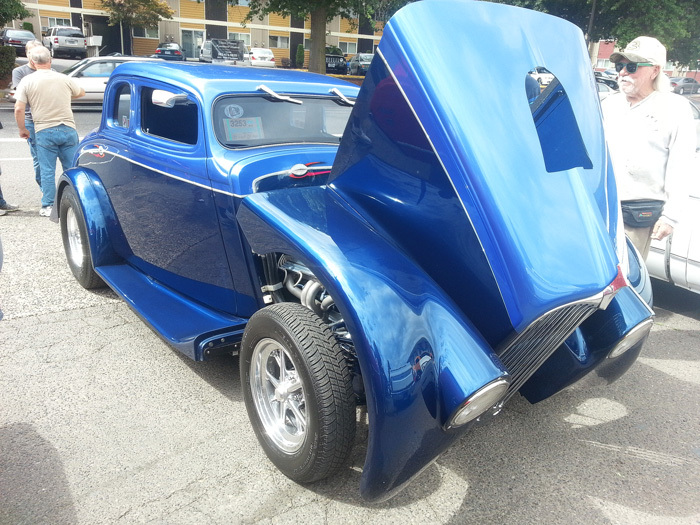 Jerry has always had a passion for classic cars, and designing. In fact in high school he completely went through a 65 mustang along with his father, even designing and building his own custom console for it. The thought of another classic had always been on Jerry’s bucket list. After 25 years of dreaming about it, the timing was right, so Jerry began putting out feelers for the right car. In fact Jerry spent the next 2 years shopping for the perfect car, and actually purchased one at one point. Jerry thought another 65 mustang would be very cool and nostalgic, and located one at a classic car dealer, but the day the mustang was set to be shipped his way a salvaged title came into the equation, so Jerry decided to pass. About this time Jerry had began to talk with Matt Powell at MetalWorks, and was also introduced to shop owner Jon Mannila. 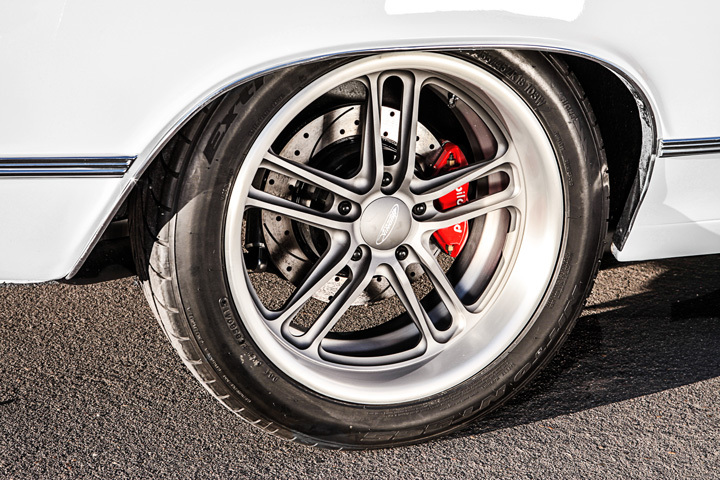 After a number of discussions Jerry was sold on the idea of a chevelle due to a number of reasons, but a full frame was the biggest factor. Jerry recalled test driving the 65 mustang, and even though it was very cool, and even smelled like his high school car the uni-body design was now less appealing, and the overall comfort and driveability of the chevelle felt like the right direction for his ultimate goal. Another 4 months were spent with everyone keeping an eye out for the right car until the beauty you see before you came into Jerry’s life. 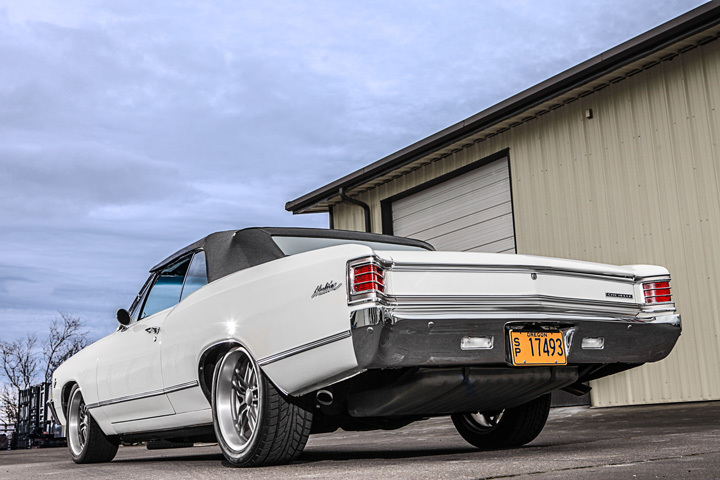 Once at MetalWorks the Chevelle went from a sweet street car to a cutting edge Pro-Touring dream. 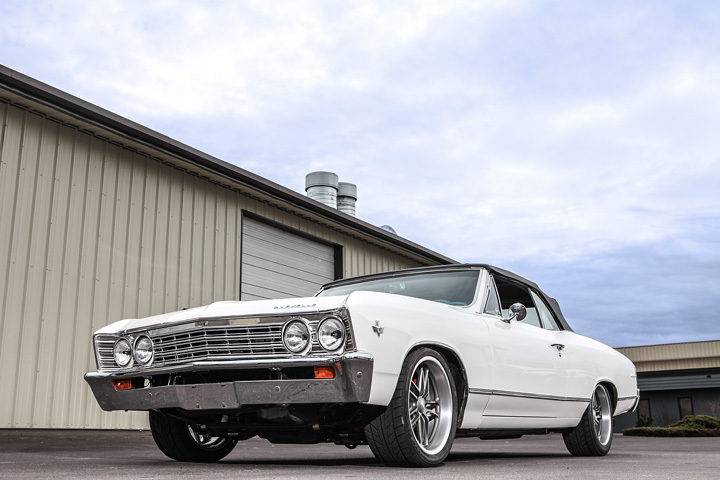 The process included installing a full front and rear HEIDTs suspensions, a 430hp LS3 engine upgraded to MSD Atomic LS fuel injection backed by a 4L65E automatic transmission, Wilwood 12.19” brakes, Budnik V2 wheels, Vintage Air, and Dakota Digital gauges. 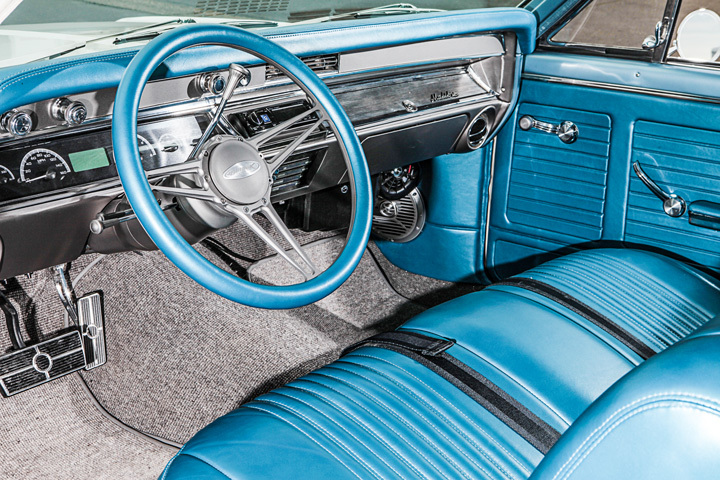 The Chevelle also received a new OEM styled interior, but stitched in leather. The carpet and convertible top were also replaced in complimenting tones. The dash was converted from wood grain to grey, and additional grey treatments were done to the grille and taillights surrounds instead of the factory black. In the end Jerry’s Chevelle does not look radically different, but it is in nearly every way when compared to a stock Chevelle. 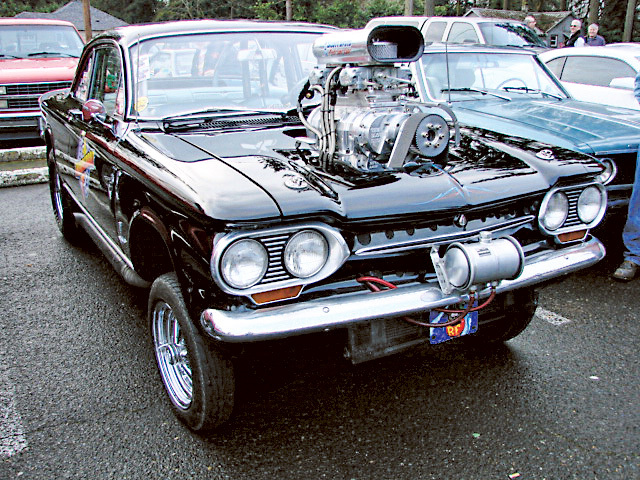 The performance of the 67 however, is absolutely a RADICAL transformation and the results are a car anyone is Jerry’s family can drive anywhere without concern. The relationship between MetalWorks skilled crew and Jerry’s vision of the Chevelle worked out perfectly, and produced one slick Chevy. Keep your eyes peeled for the 67 if you find yourself cruising in the Willamette Valley, it will be the one that stands out in a subtle manner from the masses. I could always tell when Merlin was there. He would park his faded Astro Van directly in front of the entrance, half on the curb, half in the parking lot. I would say my hellos and get started. Merlin would totter over, grinning. He was always dressed the same, baggy shorts and a threadbare t-shirt. His glasses up on the top of his head. We talked about different products we sold, his visits to the doctor, his failing health. The last time I saw him he was lucid and in good spirits. Pam would run me a stock order but I still took a physical inventory. That was how my predecessor did it and that was what they liked. Generally I was there for a of couple hours, every other Tuesday for the last year they were in business. 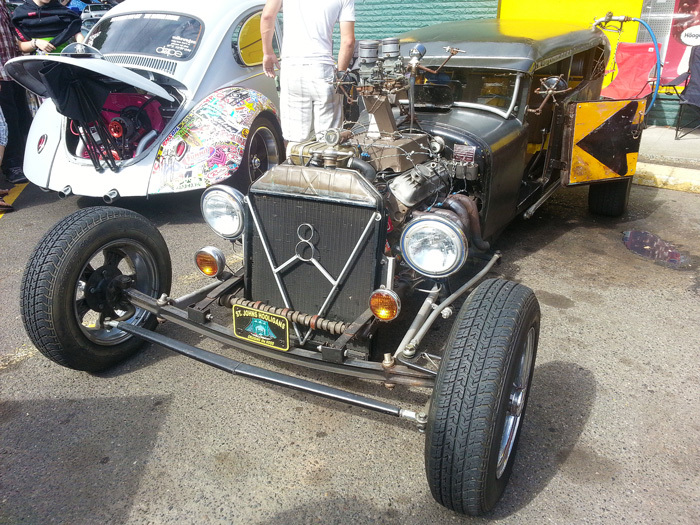 Used to be that when you wanted to hot rod your car, you paid a visit to the local speed shop. In the late seventies a national chain called Super Shops sprung from southern California. 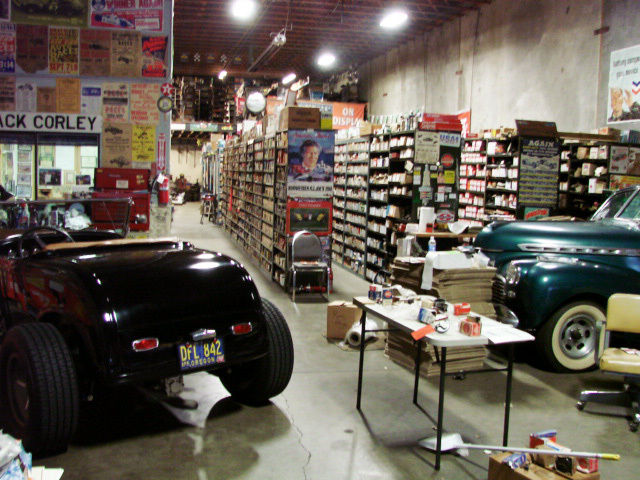 With 165 locations, they were able to buy Edelbrock by the boxcar, making it difficult for the independents to compete. Next came the mail order catalogs, another old concept but tailored specifically for the performance shopper. Soon guys were carrying their Summit, Jegs or Speedway catalogs with them, right into the speed shop! Everyone knew (about) what things should sell for and anyone could buy for less than retail. Finally, the internet drove the nails into the coffin. Now anyone with rudimentary computer skills had all the information at their fingertips. Everyone became “an expert” and the brick and mortar speed shops were doomed. Radkes had a humble beginning, starting out as a Gilmore gas station in 1933. Merlin’s father Julius was mechanically inclined and attended tech school to fine tune his skills. Soon a three bay garage was built in which to perform repairs and eventually a parts store was added to further facilitate the expansion. 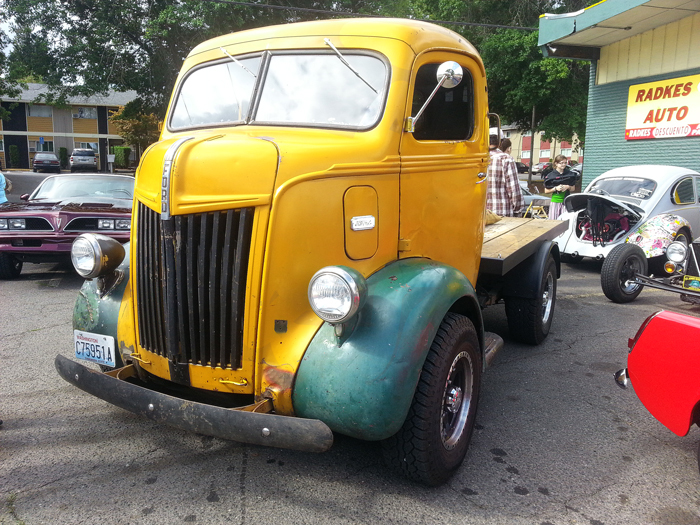 Merlin returned from the Korean War a twenty one year old high on hot rodding. He began to buy performance parts from the manufacturers in multiples, one for sale and two for stock. Initially this was kept a secret from his parents who regarded hot rodding with skepticism, fearing it was a passing fad. Merlin became entrenched in the local racing scene and advertised extensively all over the Pacific Northwest. Soon word got around that Radkes had “the goods” and customers came from as far away as Canada to buy them. 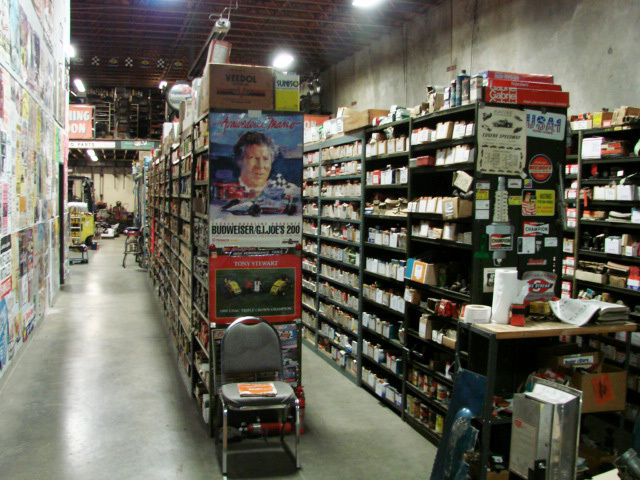 The speed shop segment of the business grew to the point where they had to build a larger store right behind their existing one. By the mid-sixties, Radkes employed four men full time just to accommodate their performance customers. Another growing, family owned auto parts chain by the name of Baxter initially bought all of their performance accessories from Radkes. An estimated 6,000 patrons attended their first parking lot sale. 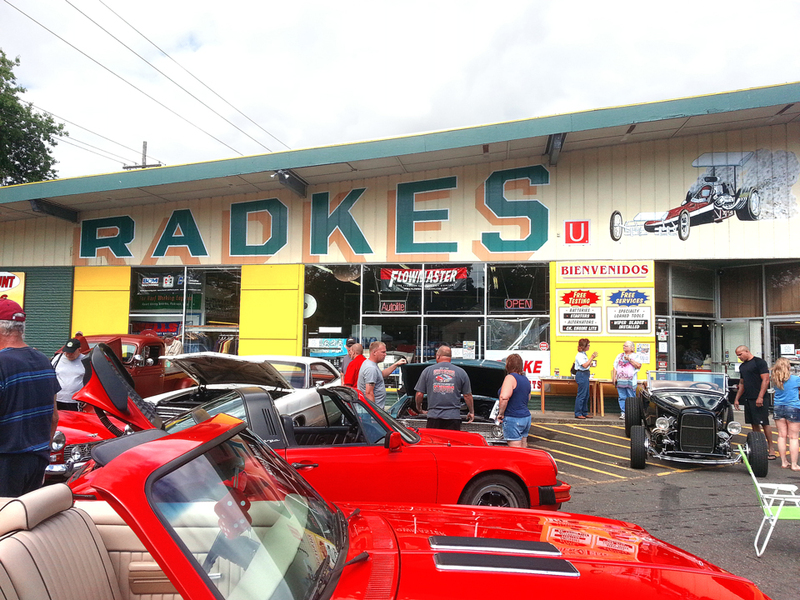 While the performance market was still ascending, Radkes opened additional stores but ultimately these satellite locations failed to get a foothold. The decision was made to pull back and refocus on the original St. John’s location and for many years, business thrived. 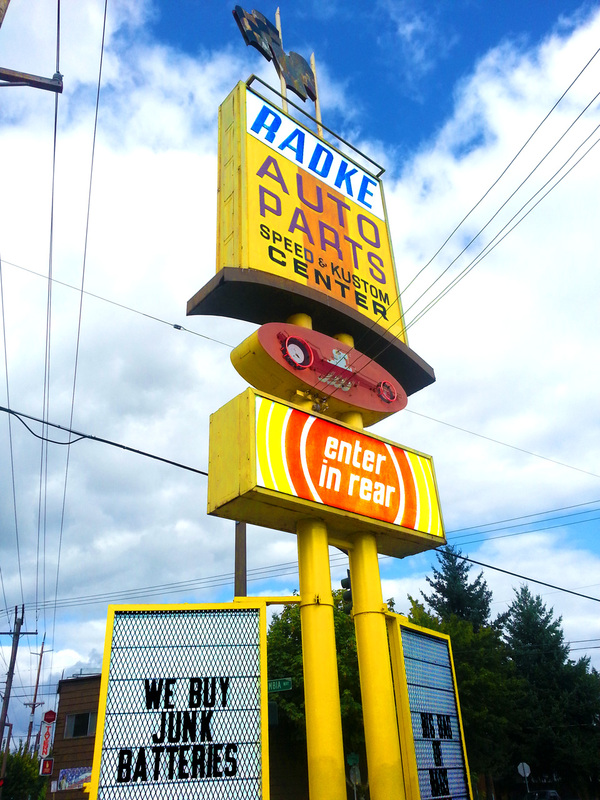 Radkes never stopped caring about performance parts or being able to sell them at a competitive price. What changed was the way in which their customers shopped for them. If there is a Roddin’ and Racin’ Northwest Hall of Fame, Merlin Radke certainly deserves inclusion. Vaya con dios, old friend. Where does Pure Power Thunderbolt Racing Fuel come from? Right out of the Northwest Farmers Fruit Orchards. That’s right, this new exciting, clean-burning, high octane ethanol is a by-product from food processing waste that is fermented then distilled to create sustainable ethanol. Summit Foods and Summit Natural Energy Advanced Bio Fuel produce Pure Power Thunderbolt Racing Fuel. *High Octane *High Purity *Clean Burning *Lower Emissions *Lower Cost *Increase Horsepower *Increase Performance *Made in the Pacific Northwest. Thunderbolt Race Fuel is the right choice for today’s high compression race engines. The Pure Power alcohol based fuel formula delivers consistent performance at a much lower cost than petroleum products. The process of distillation from waste products delivers alcohol fuel that is very pure and is a fresh product made in the Northwest. (not old or dated) Thunderbolt purity increases horsepower, runs smoother and delivers results. Product available in as small as 5 gallon easy pour cans. For further details on this exciting product contact on web: DaveM @thunderbolt–racing .com or stop by the Summit Natural Energy Plant at 535 North 4th Ave. Cornelius, Oregon. Phone 503-992-1557 Look for complete line of Summit Food and Sisters Fruit company items at most natural food retailers. I visited R & G Machining the other day to get an update on their machine shops capabilities. It’s amazing, they can do almost any kind of machine work for engines that you might need, or they have a large stock of rebuilt parts and engines on hand. R & G Machining is a full service machine shop. They can turn crankshafts, regrind camshafts, bore engines, align bore, hone, balance, do head work to include resurfacing, valve grinding, install new seats and guides, flow bench test heads, weld blocks and heads and they work on both Gas and Diesel engines, all in house. R & G Machining also has exchange cranks, rods, cams, heads, short blocks and long blocks in stock for same day service. And they have a full parts supply as well. 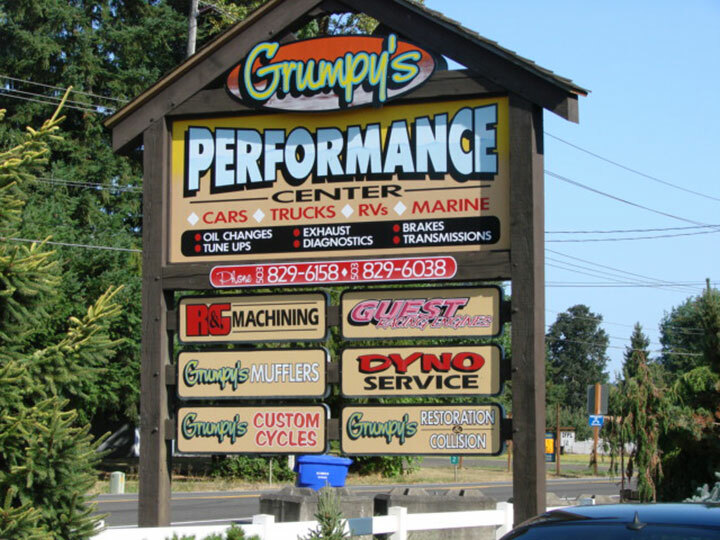 Visit their web site at www.grumpysperformancecenter.com or visit them at 27716 S. Hwy 213, Mulino, OR. or give them at call at 503-829-6038. Jacks “collection” of what I generally call “hard parts” is extensive. The coverage is from the 30’s thru the 70’s with a little into the 80’s if there were ‘carryover’ applications. 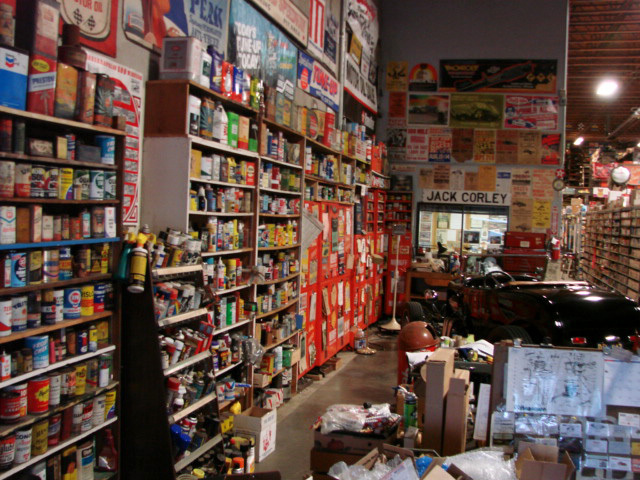 Jack tells me that his inventory is primarily Ford and Chevy mechanical parts, no sheet metal, glass or rubber parts. Having had a career in the aftermarket auto parts business, Jack has crossed his inventory over into one numbering system for ease of identification. This large collection of elderly but, new parts is all properly organized and arranged on parts room shelving in his warehouse space at 909 N.E. Cleveland Ave. in Gresham, OR. 503-667-1725. If you’re looking for parts for your latest project, Jack might be able to help, give him a call.